What do you consider a good fishing day? Just getting out on the water? Catching a fish? 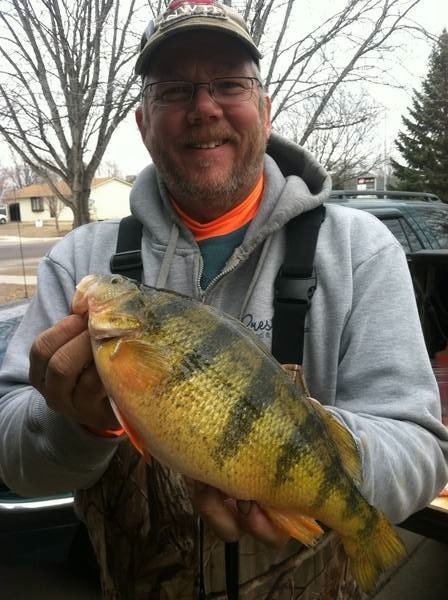 How about having a banner day catching massive sized perch one after another. Tinboats member Wallijig and his uncle had just one of those days while fishing for Perch through the Ice. All I can say is wow. Road trip anyone? Good job gentlemen! Check out one of the Perch caught below. If you would like to read about this banner fishing day you have to be a member of the forum. Trust me it is worth it. The members here are some of the best fishermen I have seen and they are always willing to help out and give great tips. For the full report click here.